If you're anything like me, you love reading nail blogs from overseas, but get frustrated when everyone's using amazing polishes that just aren't available in the UK. So here are of some of the fabulous UK nail bloggers out there! I am part of the Facebook group of British Nail Bloggers, so my old list that was here has now been replaced with the official InLinkz group list. If you comment asking to be added, I'm afraid I can't any more! Just add yourself by clicking on the InLinkz! Thanks for having me on the list, Elanor! You're welcome! I found you via Sammy @Nailasaurus. I'm a UK Nail blogger - can I get added too? Hello! Yes, of course! I don't know why you weren't already there to be honest, I've been following you for ages! Corrected now, thank you for poking me! I am British. I am so glad there is British bloggers so I can find nail polishes easy. You're welcome! I don't know why you weren't there earlier - your blog is ten times better than some others that have been around far longer! Ahh thanks! Just seen this comment, v kind of you... had better keep my standards up now!! I've only got two posts with another two in the pipeline but I am in the UK and would like to be added to the list. I think if you click on my name you get to the blog. Hello! Added you, thanks for letting me know! Welcome to the blogging world! Done! Although I can't see anywhere on your blog for me to follow you? Not cheeky at all, that's what this page is for! Updated - and I'll check out your blog now, thanks for contacting me! Hello! Done now, sorry for the delay, I was on holiday! Hey, could I get added? Thank you - have added you! I love your blog and that you have this list! I've added your blog to my reading list and I'd love for you to do the same! Although I am not 100% focused on nails, I try to do a nail post once a week among others so nails are a big part of it! I think some nails counts! I'll certainly add you! However, could you give me a link please? Clicking on your name just shows me a basic profile and no blog link, so I'm lost! I'm a UK blogger too, only started a couple of months ago, mainly on nails, i get to embarrassed about what other people would think if I wrote about anything else. Aaargh! I did not mean to delete your comment there! I tried to click to reply and my computer went a bit bonkers! I'm sorry! Yes, I know about the Facebook group - I did comment on a couple of blogs asking to be added to their lists but nobody ever responded so I don't think they want me, lol! Done! It's a nice one, thanks! Hello! Thank you, glad you like it! I've added you - really intrigued now to see what you do, the 'small fingers' thing is really interesting. I know people who try to do nail art for small children (relatives & so on) and struggle because the nails are so different in size to what they're used to, so I'm looking forward to seeing your posts. I'm based in Borehamwood, London, would love it if you could add me, I've actually started getting to know the nail blogging community by reading every blog from the British Nail Blogs list :)) a few months back. Thanks! Added you now. Hello! Haha! That's really funny! I did think long and hard about the name because of the snails thing, but in the end I couldn't think of anything better, so I went with what everyone calls my nails anyway. Maybe I need to do snail nail art! Hehe, exactly ! Snail nail art! I'll be on a lookout for that :) Thanks for adding me! Hello! I've added you now! 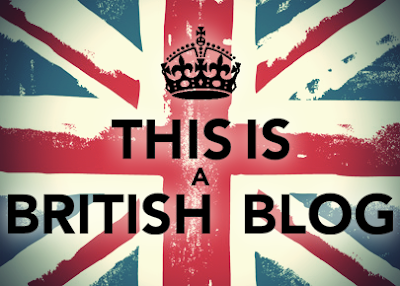 I am a British nail art blogger and I would love to feature on your list. Thanks! I've added you now. Nice blog! I like it a lot - there's no way to follow you through GFC though! Thanks - have added you now! I have only done one nail art tutorial but I would love to do more, would you mind checking my tutorial out to make sure it is alright? Of course, no problem! But if I click on your name, I get an error message. What's the URL please? Good start! I think the main thing I'd recommend is bigger photos, if you can, so that we can really see the nails. Oooh, thanks for letting me know! She must have given up. I'll delete it, thank you! I should start paying you! Hi! Thanks for the lovely comment! I think you must be the youngest blogger I've seen. I've added you now - good luck with the blog this year! Thanks - I've added you. I used both the blog name and the url wording to differentiate you from Nailed it and Nailed it NZ who are also linked from my blog (even though it's not on this page, as they're not Brits) just in case it confuses anyone. I have just started blogging and wonder if I can get listed? It is so handy I have found lots of great blogs to follow already after my first search! Hey thanks, youre a star :-) Cant wait to post my first tutorial, and of course do some sort of nails give away! Is the British Nail Blogger image something I can put up on my page too? Yes of course, go for it! I'm a relatively new blogger just starting out. Would you be so kind as to add me to the list too? Thank you :). My blog can be found at http://lovethynail.co.uk. Thank you! I'll check out your blog. You can add yourself to the list now, it's an InLinkz page. Hey Elanor! This page is such a good idea - can't believe I haven't spotted it before on here! Thanks - I'll check it out! You can add yourself now, there's an InLinkz code. Thank you! Good luck - I'll check out the blog. You can add yourself to the list now though - there's an InLinkz page. Hi! I just added my blog to your InLinkz list (which I think is a marvellous idea)! Been watching your blog for a while and I love it :) You inspired me to do my own snooker nails - they're crummy, but I've only been doing nail art for a couple of months and have no coordination whatsoever... Feel free to take a look, but of course, feel free not to! Thank you! It's not my idea, it's part of the British Nail Bloggers Facebook group. Awh thanks for the link! Soon as I have got to grips with inlinkz I think Im going to get it on my page. great idea! Hey, great blog!! please could I be added to your list?! I can't add you - just click on 'add my link' on the bottom. Of course, yay! Welcome to blogging - I'm off to check you out right now! I absolutely love comments! But please don't spam me with links to your sales website here!. If you have a blog that you'd like me to check out, then I'm more than happy to do so - just drop me an email. Thanks!